We are thrilled to announce that we have been invited to take part in the Haringey Festival of Learning 2018! The festival offers free adult learning taster courses across the London Borough of Haringey during May and June 2018 in partnership with Haringey Adult Learning Service (HALS). 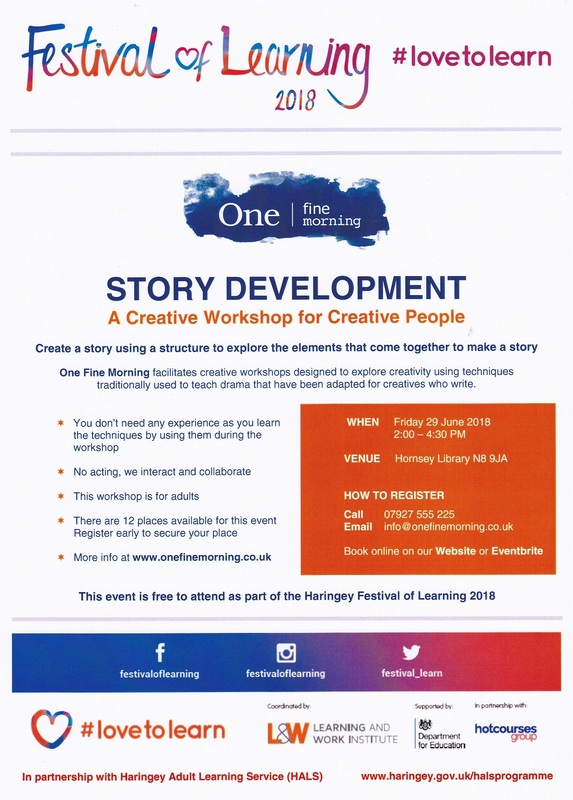 We have partnered with Hornsey Library for our Story Development workshop, which will take place on Friday 29th June 2018 (2:00 - 4:30 PM). It's a really exciting opportunity for us, as learning and accessibility are at the core of what we do. The workshop is for adults, there are 12 places available and it's free! Register your place on Eventbrite https://bit.ly/2xN2dsK or call us on 07927 555 225.